Record is near mint. 1970s dynaflex pressing; stereo effect reprocessed from monophonic Cover is VG with light corner wear. 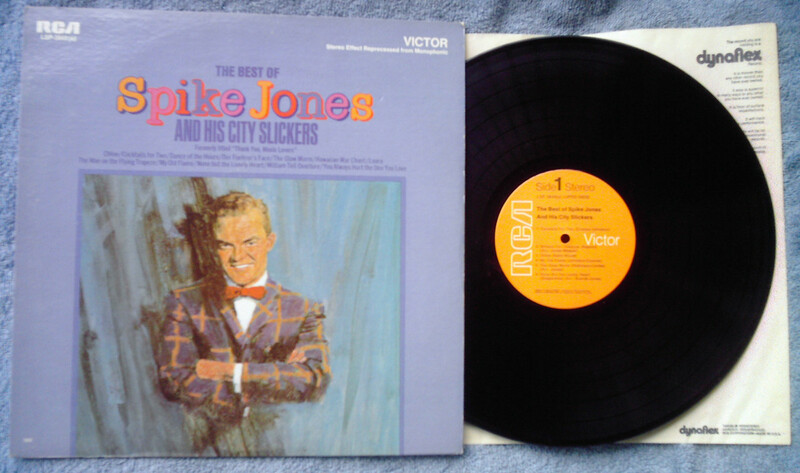 Spike Jones And His City Slickers ?– The Best Of Spike Jones And His City Slickers Label: RCA Victor – LSP 3849(e) Format: Vinyl, LP, Album Country: US Released: 1967 Genre: Jazz, Non-Music, Pop Style: Big Band, Comedy, Parody Tracklist? A1 Cocktails For Two A2 William Tell Overture A3 Chloe A4 My Old Flame A5 The Glow Worm A6 None But The Lonely Heart B1 Laura B2 The Man On The Flying Trapese B3 You Always Hurt The One You Love B4 Der Fuehrer's Face B5 Dance Of The Hours B6 Hawaiian War Chant Notes? 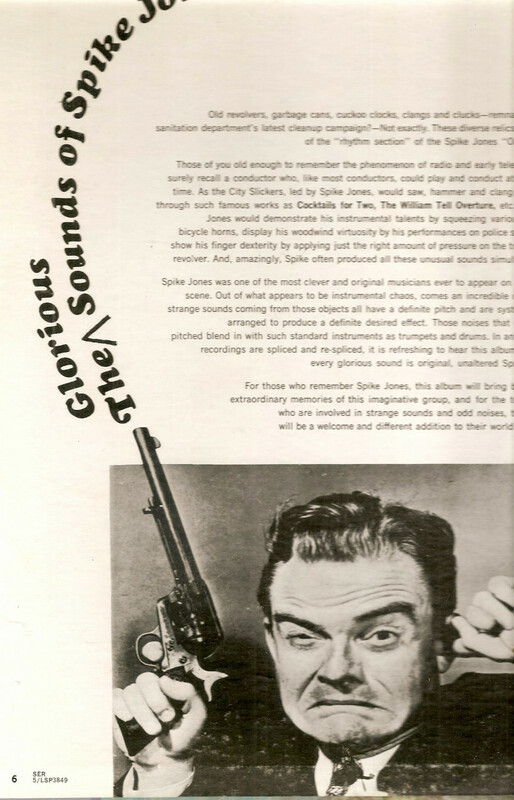 Re-issue of 1960's "Thank You, Music Lovers"